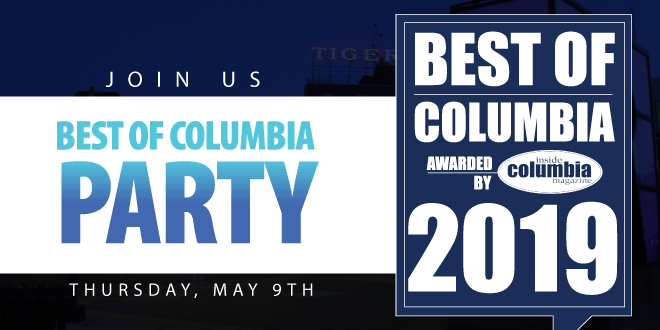 Join us at Inside Columbia Magazine’s Best of Columbia Party, celebrating the winners of the reader-nominated and reader-chosen Best Of Columbia 2018. The event is Thursday, May 9th, at the Parkade Center in Columbia from 5:30-8:30 pm. Enjoy music from the Burney Sisters! Come celebrate with Inside Columbia Magazine, KTGR and the best of the best businesses in Columbia as selected by our readers!